AQR Capital Management of Greenwich not only oversees one of the world’s largest hedge funds, but it is known as an industry leader in using computers and algorithmic models to plot trades. The administration of Gov. Dannel P. Malloy sees AQR as a good investment for the state, even if it acknowledges state aid for a hedge fund manager never will be good politics. Catherine Smith, the economic development commissioner, said the numbers work on a $35 million package package of economic incentives the State Bond Commission approved Tuesday for the growing investment management company, a source of high-paying jobs in Fairfield County and income tax revenue for Connecticut. Its investments are diverse, with more than half the money it manages outside hedge funds, a spokesman says. The Connecticut AFL-CIO quickly denounced the economic incentives. Comptroller Kevin P. Lembo, a commission member and potential contender for Malloy’s job in 2018, voted against the measure — as he did on a similar package six months ago for an even bigger hedge manager, Bridgewater Associates. “The governor is still confused about last week’s election results. He doesn’t understand that giving another wealthy hedge fund tens of millions of taxpayer dollars does nothing to improve lives of working and middle class residents,” said Lori Pelletier, the president of the AFL-CIO. 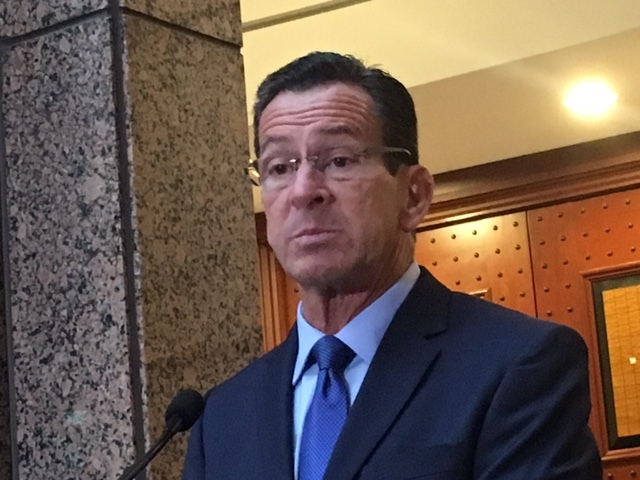 Malloy defended a deal that was announced a week ago and finalized Tuesday by the State Bond Commission, which authorized borrowing for the incentives. “We are not giving money to anyone. We are investing in a company that has 529 jobs in the state and is willing to grow a substantial number of jobs in the state,” Malloy said. The company actually has 540 jobs, according to the Department of Economic and Community Development, and could earn the incentives by adding to 600 jobs over 10 years. Malloy said the deal deepens AQR’s ties to Connecticut at a time when it is looking to expand — and vulnerable to out-of-state inducements. With a headquarters on the New York border, the company was seen as a prime target for the cross-border poaching practiced by New York and Connecticut economic development officials for decades. AQR was founded in 1998 and moved to Connecticut in 2004. The governor, who watched companies jump the state line as the mayor of Stamford, long ago decided he would rather get criticism for the price paid to keep tax-producing jobs than the grief over losing employers he sees as foundational to the Connecticut economy. Smith said the AQR deal makes sense, given the competition between the states. The industry is a source of high-paying jobs. According to the quarterly census of employment and wages, the securities, commodities and investments sector accounted for 4.8 percent of total employment in southwestern Connecticut last year — and 19.5 percent of total wages. Statewide, it accounted for 1.5 percent of jobs and 7.1 percent of wages. Fred Carstensen, a University of Connecticut economist, said the state’s economic deals with Sikorsky Aircraft and United Technologies, the parent of Pratt & Whitney, anchors the aerospace industry here for a generation. With Pratt’s presence in the state assured, at least three out-of-state aerospace companies have opened offices here, he said. Carstensen had not reviewed the specifics of the AQR deal, but he said they are not hard to structure in a way that produces a return for the state or are revenue neutral. The aid to AQR is through Malloy’s First Five Plus program, which targets companies able to commit to adding at least 200 jobs. 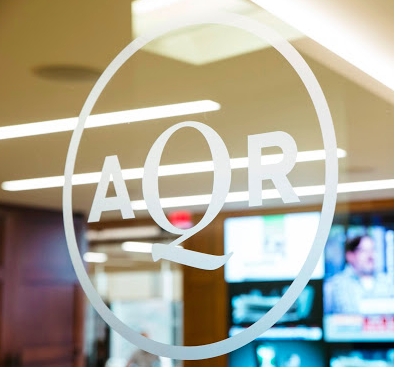 AQR was awarded a 10-year $28 million loan at 2 percent interest and up to $7 million in grants to support its expansion. The loan is forgivable if it hits employment goals. $13 million for the retention of its workforce and the creation of 217 jobs within 2 years of closing and retained for 24 months. $15 million for creating an additional 189 jobs within 5 years of closing and retained for 24 months. $2.5 million for creation of an additional 70 jobs within 10 years of closing. $2.5 million for an additional 70 jobs within 10 years of closing. $2 million for an additional 54 jobs within 10 years of closing. Previous First Five Plus companies are Cigna, NBC Sports, Alexion, ESPN, CareCentrix, Sustainable Building Systems, Deloitte, Bridgewater Associates, Charter Communications, Navigators, Pitney Bowes, Henkel, EDAC and Synchrony Bank. In August, Malloy gave an upbeat assessment of what Connecticut was getting for the $256.6 million in direct state assistance he’s given to some of the world’s biggest and richest corporations, investments often made out of concern another governor was waiting with a competing offer. He said then there was no question that companies benefit from the practice of states competing for jobs.